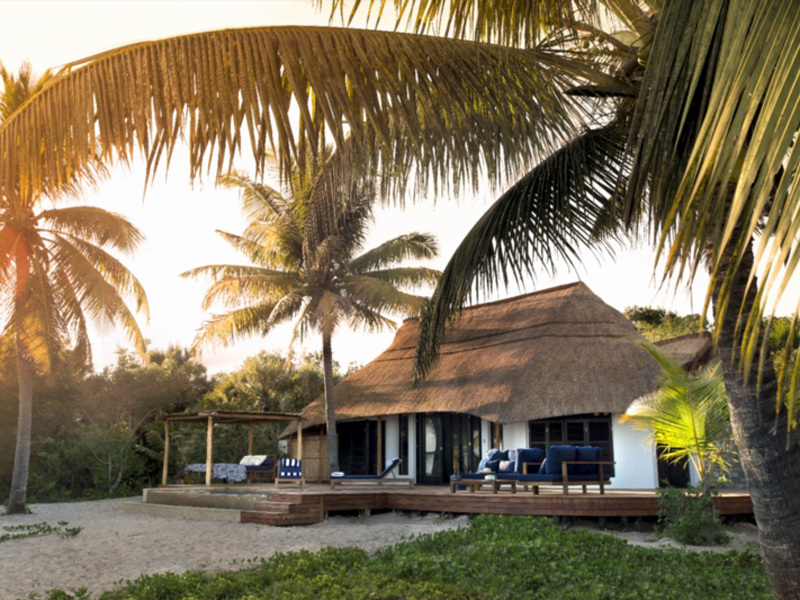 Second sister in the Bazaruto island family, Benguerra, at 55 square km, is smaller than Bazaruto but offers guests the same experience of paradise. The island forms part of the Bazaruto National Park and is thus protected territory, it is home to 140 bird species,forests, freshwater lakes, wetlands, savannah and pristine white beaches can all be found on this little land mass. The archipelago was not always an island, and much evidence can found from the days when it formed part of the mainland, the proof that makes itself most felt is the population of freshwater crocodiles found lurking around the lakes. Approach with caution! The coral reefs of Mozambique are of course world renowned, and those of the archipelago are incredible even by Mozambican standards – whale sharks, dolphins, manta rays and turtles are some of the treats divers and snorkelers are in for. If you are very luck you may even spot one of the shy. Dugong water mammals that still live in the area. These mammals are believed to be behind some sailor’s stories of mermaids, although if you do happen to spot one, you may very well question the judgement of the sailors. & Beyond Benguerra Lodge offers real luxury for visitors to the island, dinners of freshly caught seafood, cooked Mozambican style which is mouth-watering. Excellent accommodation options include a wooden deck with a plunge pool or Jacuzzi, luxurious bathrooms, outdoor showers and beautiful decor. The Casitas come with a private outdoor dining gazebo for guests to enjoy their prawns and crayfish under the stars. The Villa Chibuene even comes with a personal chef. Benguerra Island Lodge offers a combination of rural paradise and 5-star luxuries. The island has so much to give, days can be spent swimming, snorkelling, hiking, diving and generally working up an appetite to return to the lodge, enjoy a delicious feast and collapse onto a comfortable bed in a luxury setting, only to wake up and do it again.